And that’s why I say, No author is an island … We lose so much by remaining isolated from other authors. We have so much to gain by promoting the books of others rather than just talking about ourselves. I know this is true; I discovered first-hand how great was the community available to me just by reaching out through my promotion blog, Reading Recommendations. I have now promoted well over 250 authors, located worldwide, and while only about 10% of those promoted have actually given back to me and the site, that small group of authors has been sensational in the amount of promotion both I and the site have received in return. I’ve been a guest on their blogs, they’ve reviewed and featured my books, they’ve delivered to me many new fans from among their own fan bases, they’ve reblogged so many of the other authors I’ve featured on the blog, and have been there for me offline whenever I’ve needed help, advice, an emotional boost. I have paid them back by continuing to promote them well past their original post on the blog and have given them the designation of ALL-STAR AUTHORS, as a shout-out to everyone that these authors are the best! These are the authors who GET IT! 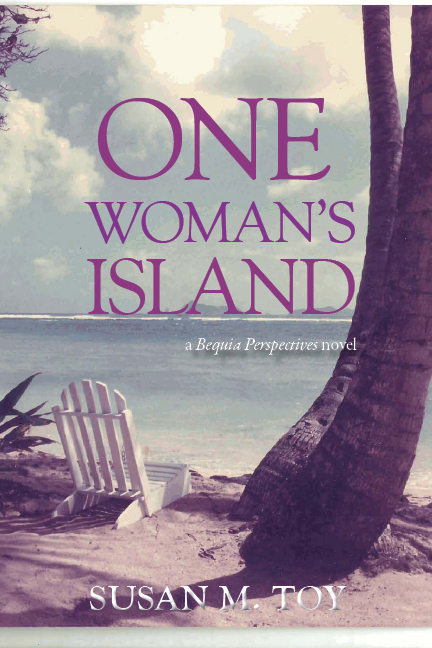 They understand none of us can exist as an “island”, only thinking about our own books and writing. We really do all need to be concerned with FINDING NEW READERS for books and reading in general. It just makes sense to not treat this writing gig as a competition when we should all be part of a community serving all readers. After all, do you expect your fans to only read your books then wait patiently until you finish writing the next? I know that, as a reader and fan myself, I appreciate hearing about recommended reading from favourite authors. After all, if I enjoyed reading their books then I’ll likely also enjoy reading what they like to read. Quite often, too, those authors tell me about other authors I might never have discovered on my own. Now, I’m not suggesting you do as I’ve done and create a promotion blog or a review blog (reading recommendations reviewed) to promote your fellow authors. I’ll be the first to tell you it’s a heck of a lot of work to administer, organize, and write to these blogs all the time. If you are inclined to set up something yourself, Bravo!! And please do send me the link so I may promote the site for you. But promoting can be as little as reblogging other authors’ promotions, from mine and other sites. I’m amazed at how few of the authors I promote on Reading Recommendations even reblog their own promotions, or link them permanently to their websites and blogs, let alone share those of others! Share, retweet, reblog, comment on the posts – let us know you’re out there and that you care about the other authors who are writing books and publishing! Then take it a step further and offer to review books by some of those authors I’ve promoted on Reading Recommendations. Or, if you discover a great book and want to tell other readers, contact me about posting on the Authors Recommending Authors segment of the blog. There are many more ways you too can become an engaged and engaging member of this community. The sky is the limit. This all comes so naturally to me now, because I’ve been promoting authors and great books throughout most of my adult life. But I haven’t thought of everything yet, so please do tell me if you have other effective ways of getting the word out. I know there are authors out there gnashing their teeth, wondering how the heck they can also be included on my Reading Recommendations blog when the site is “currently closed to unsolicited submissions”. I am constantly on the look-out for interesting books and authors to promote, and I do know so many personally or have met them online, that there is never a lack in my schedule. However, if you wish to get my attention so I will consider promoting your books on the site, the best way is to do exactly what I’ve outlined above: Subscribe to and follow the blog; reblog or share promotions; buy, read, and support books and reading in general; comment on the blog (and not just to tell me about your great book!! ); offer to review books by authors I have promoted; ASK ME ABOUT MY BOOKS and offer to promote me or give me a guest spot on your blog. Flattery will get you everywhere!! That’s the best way to attract my attention, and then I will ask YOU to be a part of this. It’s not rocket science, folks! If you want to get, you need to give first. And, BINGO_BONGO! Here’s how it works … I posted an update this morning on the blog for one of the all-star authors, as it happens, and in less than an hour she has already shared the post. Others who liked it immediately were authors previously promoted on the site. And they have also now “liked” it on Facebook, too. Magically, this post and author promotion has moved beyond my initial reach and been exposed to many more readers. Amazing!! Reblogged this on Novels Now. This is an excellent article reaffirming what I’ve always said. Authors, especially Indie Authors need to cooperate if we are truly going to rule one day! So true, no author is an island. I thought I was, but it’s better not to be. One has to promote ones book or no sales at all. Have re-blogged it. Thanks, Stevie! I have seen some of your interviews recently. I will send you an email. Thanks for reaching out, reading and commenting! This is so very true. So many times I hear that authors are too focused on their own work, or what they are doing, they forget that we need each other to keep our heads above water. Thank you so much for your blog! Thank YOU! for reading, commenting and reblogging! 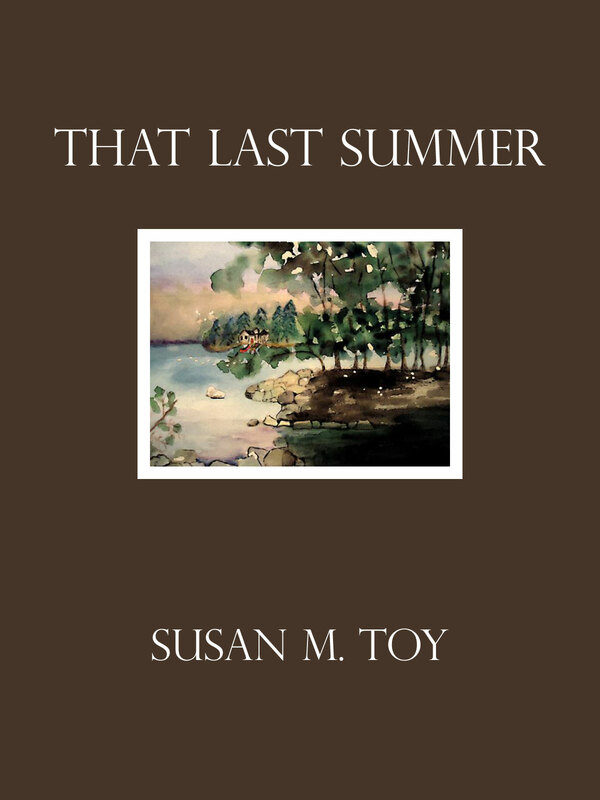 Great piece by Susan Toy about sharing the wealth and sharing our fellow authors with readers. Great piece, Susan. I’ve always said there’s plenty to go around. It’s a win-win situation when we promote and share our fellow authors with readers. Happily reblogged! Thank you, Eleanor! Happy you found this and thanks for reblogging! This was such an eye opener, and I’m happy to reblog it. I’m new to writing, and so far I’ve been wary of how many other writers there are out there writing. I had felt that it was a cutthroat world where you do the best you can for yourself. Knowing that there are communities that support each other is such a relief. I love the idea of promoting others and everyone helping each other. I’ve always had a team mentality, and it’s good to know this might actually be useful for writing. I’m very happy that you found the post and this blog! You are always welcome here. Thanks so much for your comments and the reblog! Reblogged this on Our Depression. Susan M Toy​ with a very important message. We now have a great many tools as writers to promote our work but it is all very well having social media platforms and only using them for your own promotion. You are effectively talking to yourself. You need to build a community that support you through the good and down times. Treat other writers as you would like to be treated.. with respect, recognition and reciprocation. I have been the recipient of all of that in my recent launch and it has made a wonderful experience into an amazing one. Thanks so much for commenting, Sally, and for reblogging! As Indie Authors, we need each other. We aren’t in competition. We’re the best source of support. Thank you, Mr. Ape!! You’re my All-Star Blogger! You are so right, Susan. Paying it forward is so important in all walks of life. If we all help each other, there will always be someone there to help us or someone we love. It needn’t be reciprocal. I’m going to reblog your post on my blog as a reminder of the importance of being thankful for what we have and generous to others. Thanks for reading, commenting, and reblogging! You’re welcome! 💖 Thanks for writing and reminding us about the importance of sharing! By the way, I’m not sure if you’ve noticed, but I’m also Lucy Shares Lovely Books! 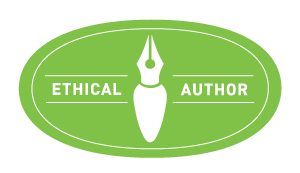 This is a really great post because it offers authors concrete advice on how to promote their own work-thank you for getting this information out there! Thank you for reading and commenting, Anne! Quirky promo idea: I routinely change out the tag line on my college email signature block. Instead of the usual quote most professors include, I’ve been linking to books I’m currently reading. I think I’ll switch it up a little more and start linking to websites like Reading Recommendations! Now, that’s a great idea!! What a superb post, Susan. When my first novel was published, I was wary of self-promotion and social media. So many Twitter posts seemed nothing more than ‘buy my book’. One day I followed another author, Dylan Hearn (I found this post through his blog) and, for a change, tweeted him directly, saying, ‘Hi from a fellow East Anglian author.’ This led to a Twitter conversation which culminated in us buying and enjoying each others’ books. Suddenly I understood the point of Twitter. Since then I’ve got to know some wonderful, generous fellow authors, whose work I enthusiastically promote. My novel will never be a best seller, but the rewards of discovering this community has been so much more than enhanced sales. You are exactly correct, Katrina, in seeing the rewards of being part of this community as more important than overall sales! No author can buy support like this, nor expect to sell enough books to create this kind of support. They need to become involved, as I say. I’m so happy you found Dylan and now me, and that you understand our message! Thank you for reading, writing, and supporting! If I had one piece of advice for any author, whether they choose to go the indie route or prefer toward with a publisher, it is to read this post then work out how you can support your fellow authors. I had my ‘road to Damascus’ moment nearly 2 years ago, realising that there was no point trying to persuade people to buy my indie book if I was’t buying books by other indie authors. Since then I’ve read many indie books and promoted those I’ve enjoyed on my blog. The best thing about it has been discovering so many great authors and becoming part of a much greater, supportive community. Thanks you so much for reblogging, Dylan, and for your personal comments about what all this means to you. Dylan is not only a great author and blogger and supporter of fellow authors, folks … He’s also one of the All-Star Authors on Reading Recommendations! I am so impressed with this post that I read it twice! And it’s heartwarming that so many authors are aligned with connecting with other authors in the spirit of camaraderie. I like to think most authors write because they are in love with words and the thrill of using them artfully in the never ending pursuit of communicating in a high art form. I love coming across authors who have a unique and firm grasp on language and craft. When I come across them, I always share because they thrill me and are part of my tribe! Thank you for “getting” it, Claire! It’s because of authors like you that we all manage to thrive. Having me market my books is almost as useless as having the cat do it. No, wait–the cat might do it better. My gift for marketing is a secret which my Maker has kept from me. It’s all I can do, just to write them. *sigh* I remember when publishers did advertising and promotion. Those were the days! Ah, but I was a publishers’ sales rep during those days and not a lot was actually done by the publishers to advertise or promote books. Authors are further ahead now taking the matter into their own hands and, as I say, helping each other to promote their books. I understand completely! It seems these days, the smaller and medium sized presses will promote their catalogue, as opposed to their individual authors. I know this has been my experience, and I had no idea going in that so much of the promotional work would fall to me! But this is the business now, unless one is signed with one of the big five. And I will offer what I found to be a workable promotional formula: establish yourself on as many social media avenues as you find comfortable, such as FB, Twitter, Google+, Pinterest. Once you are established, keep active and current. Read others posts and engage; also promote other authors! Look at what other authors are doing on these sites and follow suit. If you do, more avenues appear. I liken it all to a cyber-space chess game that grows. And don’t forget to have fun! Yes!! The “fun” part is most important of all! Indeed, Susan. I think all authors can become overwhelmed at the sheer volume of what it takes to get in the traffic, so to speak. It is then that it’s helpful to remind oneself of why they got in the traffic in the first place! Promoting other authors is how I draw more readers interested in what I do and wonder who next am I going to review their works and talk about it. You are right in your article about helping others so along the way you make friends and they help you as well. A.G.
Another great post, Susan! When we promote other authors, we’re placing our readers ahead of ourselves. And I’ve learned about some great books from readers; it’s a win-win for everyone! Thanks for all you do, and thanks again for letting me share your stories and that gorgeous artwork on my own site. Thanks for all you do, as well, Susan! I have added your name to the All-Star Authors page, as you’re another author who “gets” this concept! First of all, let me start by saying THANK YOU! Thank you for all you do to help authors. Thank you for creating such a supportive, positive community. And thank you for being so generous with your knowledge and advice. The best thing an author can do is connect with other authors. Connecting isn’t about using other authors to promote your work. It’s about more than networking. Connecting with authors means offering advice, support, and friendship. I try to help anyone who asks me for promotion, but I will go out of my way to promote an author who is supportive of others. Authors who jump from blog to blog without ever establishing real friendships are missing out! Thanks to you, Tricia Drammeh, for being one of the good ones, an All-Star Author who has always “gotten” this message of mine! Thanks for all you do too to promote and educate authors on your blogs. Another fabulous post by Susan Toy. She has created a vibrant community of authors and bloggers that I’m proud to be a part of. Read on to find out how you can market your book AND be part of something spectacular.